Our Founder and President Scott Bergman is a seasoned executive who has led and managed high-performing teams in diverse industries. As a leader in the construction business, Scott has been a general contractor, refurbish/remodel residential builder, and painting contractor. He is known for exceptional customer service, follow-through, and reliability. We specialize in fine home residential painting, both exterior and interior. Painting is not just about color or finish. It is about technique, experience, creativity, and imagination. Interior painting requires an artist’s touch, a decorator’s eye, and an engineer’s precision. Whether you have a new home or are remodeling an existing one, you can count on Brush Strokes Painting to pay attention to every little detail. It is not enough to provide competitive prices and a high quality product. We want you to be happy with our work from start to finish. That is why we guarantee our work. Articulate Finish invites you to discover the quality and craftsmanship of our custom wall finishes. From individual accent walls to large scale interiors, we specialize in one-of-a-kind decorative treatments, designed to complement your overall vision, using both traditional and sustainable mediums. Articulate Finish gives you highly personalized, accommodating service every step of the way. John Wood, owner of Articulate Finish, began his creative career as an illustrator in Denver, Colorado. He was drawn to decorative paint and plaster because it allowed him to be artistic on a much larger scale while creating beautiful living spaces for his clients. With a keen eye for detail and an unfailing commitment to every project from start to finish, John produces unique surface treatments that bring an inviting quality to any space. Here at Karen’s Company, our goal is to offer a wonderful service experience, start to finish. That is what drives us at every job site. We consider it a privilege to be invited to your home, to add fresh colors and watch a new style unfold. To us, this never gets old! Because of our passion for painting, Karen has put a huge focus on training and development. She is an active member of the Painting and Decorating Contractors of America (PDCA), and is in fact one of only three painters in Colorado to be accredited by the PDCA. In addition, she attends numerous classes and seminars throughout the year to make sure that she is aware of, and putting into practice, the most cutting-edge techniques and styles. In addition to her own professional development, Karen also consistently trains her employees according to the PDCA Craftsman Procedures. This kind of investment in training allows for skilled consistency, as well as a focused and talented team. You also can be sure that your project will never be trusted to a subcontractor, but rather will be personally handled by Karen’s Company employees. This is another aspect of our total commitment to quality work and your satisfaction. With over 35 years in the paint industry, Jay knows how to deliver a quality product. From prepping, priming and interior and exterior painting, no job is too small. We use the best paint brands in the business and your satisfaction is our guarantee! We love interacting with people and getting to know them and help them with their painting projects. We focus on residential repaint right now because we enjoy the one on one with people rather than the impersonal unorganized commercial job site and nothing is more rewarding than a job well done and a delighted customer." So please call us today for a free estimate or at least a chance to get to meet you. If we are not a good fit for your job, we will refer you someone who is because getting every job is not as important to me as your satisfaction! 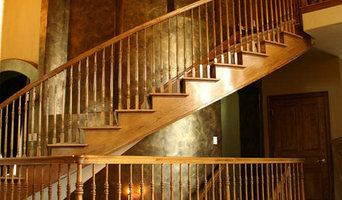 "Streamline Contractors offers prompt and professional painting services to the Greater Denver Area. We focus on quality and customer satisfaction- Streamline provides headache free service where our customers can expect high quality results and for us to deliver exactly what they request. We offer Same Day Estimates! Call us today for all of your residential painting needs and to book your free estimate! Owner, Robert Wolfe, originally began painting in Florida as a young adult. After moving to Colorado, he began painting again while attending college. It was not long before RW Professional Painting had taken shape and left Robert assembling a team of painters to help with the demand Denver had to offer. Locally owned and operated, we provide our customers with over 20 years of experience. We believe the main elements to our steady growth in the Denver Metro area is our unwavering commitment to our customer’s satisfaction and the quality of service we provide. Our team members operate with a respectful and enthusiastic attention to the needs of our customers; which we believe has been key to our growth and success. It is because of this we rely so heavily on the testimony of our customers and recognize their continued importance to our future in Colorado. And, for your peace of mind… RW Professional Painting is fully insured. At Stroke Paint + Design, we are committed to providing an exceptional and unique experience while offering premium products and skill. We are proud to service the Denver, Jefferson + Douglas County areas of Colorado for all of your painting needs! With over 20 years experience in residential painting, we can handle all phases of home painting...from painting a kitchen to the whole interior or exterior of your home. 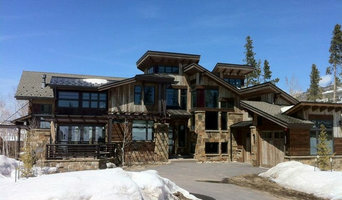 We pride ourselves and the business on our work ethic, close attention to detail, and our prompt professional service. We love to paint and it shows ... please contact us today for all of your painting needs! Imhoff is a residential painting company serving the greater Denver metro and front range resort communities with fine interior and exterior painting and wood finishing services. Our painters are professional craftsmen and women averaging 18 years experience in their trade. We cultivate the future of our trade with several young staff members who are learning alongside our foreman. To us, this is an honored, career-worthy profession deserving of our best effort. We work in beautiful homes for owners who are proud of that, we serve the professional design and remodel community, and select builders. We are especially proud that our work comes as repeat business or by referral from satisfied customers. Hiring a painting company to work inside or outside your home should be a positive experience. We strive to make sure it is so – each and every time. We train our staff to be respectful of your space; we will carefully protect your furniture, floors, flowers and landscaping. Our men & women are friendly and helpful, they will not smoke or play loud music on site, and they’ll treat you and your home with the respect deserving of people who are important to us. You can count on our foreman to keep you informed and to quickly address any concerns that may arise as work progresses. We are responsive and communicate well in person, by phone text and email! We will never ask for final payment until you are absolutely satisfied with our work. The health of our painters, the planet, you, and your home is also our priority. Our painting crews adhere to all OSHA safety standards and are EPA lead-safe certified to work safely and legally wherever lead paint is present. In addition, we promote the use of professional grade, zero and low VOC paints because these products are simply healthier for your family, our staff and the environment. Whether it’s a powder bath, or your whole home – we look forward to serving you. Creator of artistic wall surfaces from paint, plaster, hand-crafted papers, fabrics to installation. Home Advantage Interior Painting provides interior painting services in the Denver Metro Area. We put the customer first and will treat your home with the utmost care and respect. Home Advantage strives to provide quality work with top marks in customer satisfaction while simultaneously offering a competitive price. From the initial estimate to the completed job, we will be communicative, honest, and clean, ensuring that we leave you with a spotless home and a beautiful paint job. Kip Golden, owner of Earth Clay Works, has been working exclusively with American Clay since 2005. He is one of the most experienced clay plaster artisans in the country. We are known for our commitment to extraordinary service, attention to detail and ability to complete every wall with an artistic and tasteful eye. 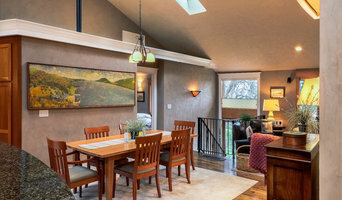 Earth Clay Works has been installing American Clay Plaster in the Boulder/Denver Metro area for over 10 years, As nature's alternative to paint, clay walls are simply unparalleled in warmth and beauty, bringing a unique sense of depth and texture to any space. Clay walls contain no VOC's, chemicals or harmful toxins – just pure clays, recycled aggregates and natural pigments from the earth that when combined, will actually improve the quality of your indoor air. Now you don’t have to compromise on style or beauty when designing with your family’s health in mind. Healthy and gorgeous! Kip has turned clay application into an artform, refining our finishes to match the vision of any client’s style. Whether applying clay to a whole house, or simply an accent wall or fireplace, our team’s approach is to make sure that each wall is completed with an artistic and tasteful eye. Don’t just take our word for it, view our projects and read our reviews here, and contact us now to visit our showroom in North Boulder to see and feel for yourself! The Services We Offer Our Clients Painting can provide both aesthetic and functional advantages for your home. A fresh coat of paint can make your home look brighter and newer! Our residential painting service includes both residential and commercial, interior and exterior painting! Why Paint Your Home Painting a home whether it is inside or outside is a cost-effective strategy and it provides immediate results! Hiring a commercial or residential painting contractor can help you transform your home and increase its value with just a new coat of paint! It can also increase your home’s curb appeal which is the cost value of the home as well as the personal appeal. Professional Experience The painting professionals at Funky Monkey Painting, LLC have 20 years of experience in the painting business. In order to achieve client satisfaction, our residential and commercial painting service experts only use high-quality paint and tools to complete the job. We are licensed and bonded for the job and all of our painting projects come with warranties to ensure we have done our finest work in your home. If you are interested in hiring a painting contractor to paint the interior or exterior of your home or business in the Broomfield, CO area, give us a call today. Vivax Pros set the standard for house painters, roofers, window installers and deck build contractors in Colorado by dedicating ourselves to serving clients. Vivax is a trusted home improvement contractor and unlike many other companies, don't accept payment or deposits until you and a Vivax Pros employee have inspected the job. Denver's Interior & Exterior Painting Solutions | 2X Best of Houzz! Free Color Consult with our Designer! Först och främst måste man ta beslutet, ska man måla väggarna eller ska man tapetsera? Bygger man ett helt nytt hem kan man såklart bestämma allt till 100 % på egen hand, men har man köpt en bostad från någon annan så måste man ju alltid utgå från nuvarande lösning. Det är med andra ord inte alltid man bara kan måla över eller sätta upp en ny tapet, och sen är det klart. Sitter det exempelvis uppe en tapet med struktur måste den tas ner, det kan man göra själv eller med fördel överlåta till en expert på tapetsering, som sen kan sätta upp nya också. Den som provat sätta upp tapeter själv vet hur enkelt det är att det blir snett och ojämnt, men med ett proffs i Denver så blir det alla gånger ett riktigt bra resultat. När det kommer till pris och kostnad, så är vårt tips att kontakta det företag som du är intresserad av att anlita. Visst skulle vi kunna ge en ungefärlig kostnad, men bäst är alltid att få pris för tapetsering direkt från den som är expert på det. Att måla tak, trä- eller takpanel eller fönster för den delen är inte alltid det lättaste. Momenten än fler än man tänkt sig från början och vill man ha ett perfekt slutresultat så bör man anlita någon expert som verkligen kan det där med målning. Går man i tankar om att måla om huset ska man definitivt ta hjälp. Anlita en målare som kan allt om målning, material och färgtyper! Någon som har gedigen utbildning samt erfarenhet. De flesta målerifirmor i Denver, har erfarenhet av att både måla hus, innertak, badrum, tegel, staket, fasadmålning, sovrum, fönstermålning och så vidare. I det här fallet är mer bättre. Måleri är en konst som inte ska underskattas så se till att få tag på en riktigt bra målarfirma. Bra måleriservice är när företaget eller personen verkligen förstår hur slutresultatet ska se ut. Se till att ni är överens från början! Dessutom kan en målare hjälpa till att välja ut vilken färg som skulle passa på din fasad eller i ditt hem, det är inte alla gånger så enkelt att komma fram till på egen hand. Eftersom både måleri och tapetsering kräver genuint grundarbete så kan man själv ta bort sin tidigare tapet eller besöka färghandeln eller en färgtillverkare i Denver, CO, så att färgen finns på plats när målaren kommer. Men likväl kan man också överlåta detta till företaget man anlitar, många gör ofta detta eftersom man helt enkelt vill få ett bra resultat. Många kanske tror att det är enkelt att exempelvis skrapa bort färg, men vill man ha noggrant och jämt resultat är det allt som oftast en fördel att anlita någon även för detta. Inte minst om man har många rum som man vill måla om, det kan vara väldigt tidskrävande att ta bort färg själv medan en expert kan göra det på mycket kortare tid. Det gäller att vara smart! Man bör även vara tydlig med vad exakt som ska göras innan personen kommer till ens hem då det kan kräva olika typer av förberedelser. Ska man måla över tapet, byta panel, tapetsera på tapet eller ska det utföras en sprutmålning? För att arbetet inte ska dra ut på tiden är detta viktigt att kommunicera innan projektet drar igång. Man bör även vara tydlig med om de ska måla inomhus eller utomhus. De flesta målerifirmor i Denver, CO har koll på detta själv vilket brukar resultera i en god dialog innan arbete utförs.